The Motagua River lies adjacent to and south of the Sierra de Chuacùs Mountains. The Motagua is a medium-sized river that flows to the east. Selected study sites have been mapped and are composed, predominately, of two formations: ultrabasic rocks of unknown age (mainly serpentines) and undivided paleozoic metamorphic rocks (phyllites, chlorite and garnet schists, quarz-mica-feldspar schists, marbles and migmatites). Reconnaissance of the study sites reveals mostly serpentine bedrock with many of the aforementioned metamorphic rocks present in the stream gravels. This conforms to broader regional mapping of the area. Intrusions of quartz are also observed in several places throughout the country rock and are likely the principal source for the auriferous placers. Metamorphic rocks of the types present have also been known to host gold values of varying degrees. These lower grade deposits may, over time, contribute significantly to the gold deposits retained in the stream gravels. Information received from local inhabitants suggests there are also areas where small amounts of gold, visible to the naked eye, are present in quartz veins. 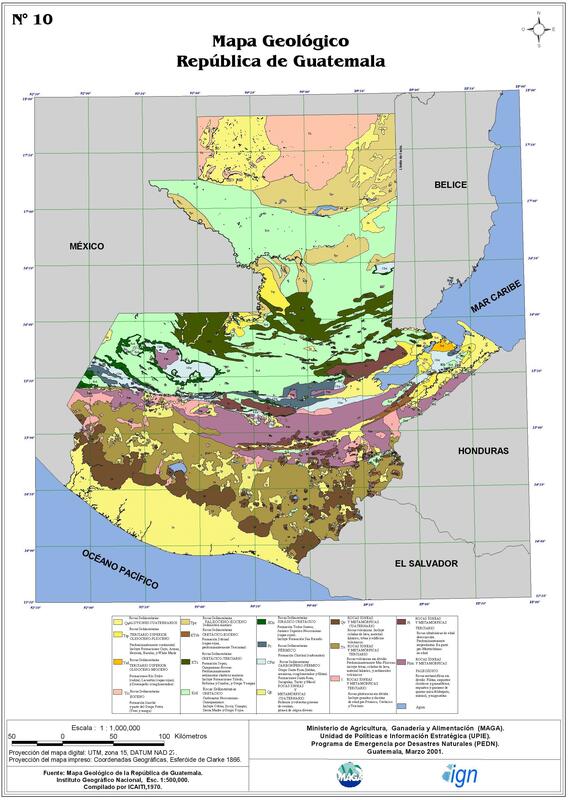 Exposed serpentine bedrock and associated stream gravels are present throughout the Motagua River area of interest. Grain sizes range from clay size fines to very large boulders. The degree of cementation of the stream gravels and associated terrace deposits will not be known until further exploration is undertaken.